Our programs are designed for both boys and girls of all ages and skill levels. Our preschool programs include walking infants to 4 year olds. While our Recreational program includes classes for ages 5 and up with different levels of advancement. 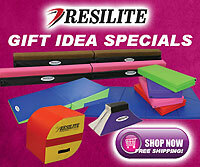 Gyminators Gymnastics provides opportunities for children to advance as far as they desire. 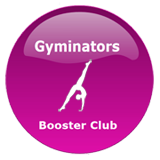 Gyminators Gymnastics, teach hundreds of children per year. Many of our students have become successful soccer players, dancers, divers, basketball players, cheerleaders, etc... The lessons they learn at Gyminators and take with them when they leave, have very little to do with gymnastics but everything to do with self-confidence; an overwhelming feeling of self-worth; learning that they can face a challenge and succeed; and realizing they are stronger, braver and more capable than they had ever imagined! Gymnastics is a tool that we use to help build these essential characteristics in kids. They are GREAT tools, but they are not what is most important. The kids and their futures are what really count!